WARNING: DO NOT USE A USB HUB, CONNECT THE USB DRIVE DIRECTLY TO A USB PORT ON THE PC. NovaBACKUP does not support connecting a USB hard drive through a USB hub. This will cause backup errors to occur and most likely will cause the backup job to stop mid-way through. It may be that your USB destination storage device is going to sleep at some point either during the backup job or after. Make sure that Sleep mode is turned off for the USB port devices in "Control Panel -> Device Manager -> Universal Serial Bus controllers" area. 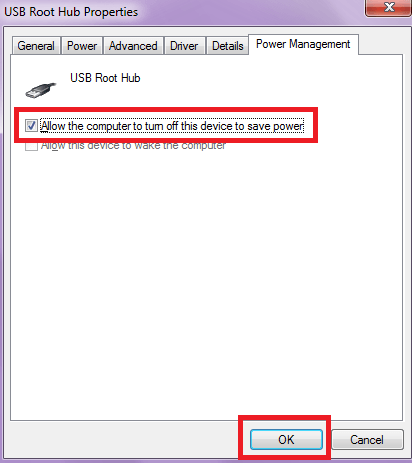 Click on each device under that section and check if there is a Power Management tab that exists in each device and if it does, then in each case, uncheck the "Allow the computer to turn off this device.." property in each case and click OK to save that change. Next in the Windows Power Options (Power Management) area, "Control Panel -> Power Options" click on Advanced to go to the Advanced Power Management options, you may have to click on "Change plan settings" on the plan that you are using and then after that click "Change advanced power settings". Locate the "USB settings" section and then expand that section. Disable the "USB selective suspend setting" to set it to "Disabled" instead of the default which is "Enabled". Now locate the "Hard disk" section and disable the "Turn off hard disk after" setting so that it is set to "0" which is disabled. Now locate the "Sleep" section and disable all of the Sleep settings here to set them all to disabled for testing purposes. 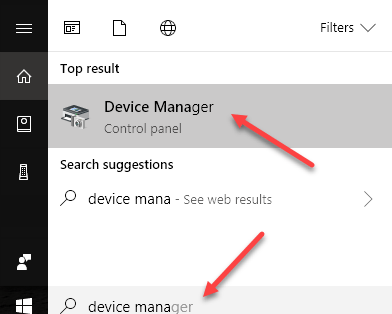 Open Device Manager by typing device manager in the Start > Search panel. The Device Manager window will open. 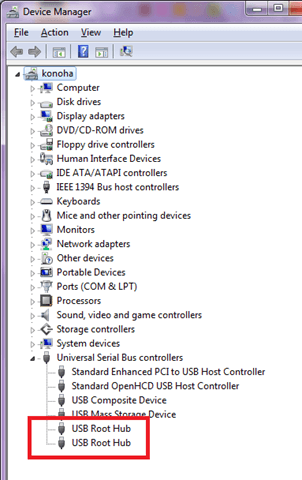 Expand the Universal Serial Bus controllersbranch, then double-click the USB Root Hub device, and choose the Power Management tab. Repeat the step on each USB root hub or do it only for USB ports that you want to be permanently powered on. If you experience lost USB connections or power from a USB port to your auxiliary device, try the steps above then idle the device and wait for a few minutes to confirm that the problem has gone away.